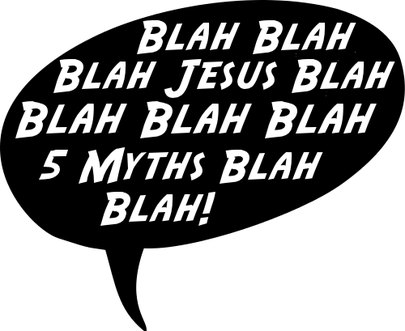 Reza Aslan‘s 5 Myths about Jesus is so much myth-making. The article was filled with what the Bible calls “foolishness” masquerading as scholarship. Aslan’s work has been questioned by secular sources such as The Nation (“not meeting historical standards“); PJ Media (“falsehoods“); and NewsBusters (“Reza Aslan falsely asserts…“). Any basic research would have turned up many questions about Reza Aslan, his claims and his credentials . Aslan’s claims are easily rebutted by the Bible. 1 Jesus was not born in Bethlehem. 2 Jesus was not an only child. This fact is correct–which demonstrates that when Aslan chooses, he can do satisfactory work. 3. Jesus did not have 12 disciples. 4. Jesus had no trial before Pontius Pilate. 5. Jesus was not buried in a tomb. The Post-Gazette made the decision to reprint Reza Aslan’s article, “5 Myths about Jesus” even though any due diligence would have turned up questions, not only about the article itself, but about Aslan’s credentials as well. However, the fact that the Post-Gazette chose to print such a piece should be a comfort to Christians, whose Bible foretold such events.